To succeed in your business, you need a solid method that work. That’s where an MLM marketing system comes in. 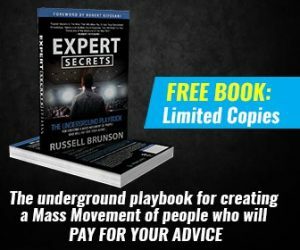 While traditional techniques work for network marketing, taking your business online can help you get into profit faster. The network marketing business model is built on residual income. To benefit from it, you’ll need to bring a lot of people into your business. Talking to a few family and friends, or acquaintances is a start, but won’t bring you the success you desire. 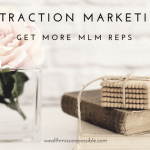 With an attraction marketing system for MLM, you become the hunted instead of the hunter. People will find you and your system will sort your prospects instead of you doing it yourself. 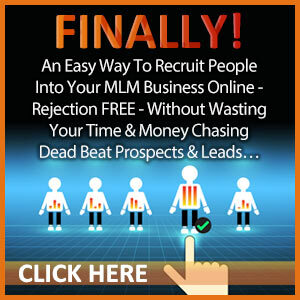 How does an MLM marketing system sort your prospects? There are several ways but essentially it means that someone might opt-in or -out of your list, subscribe or unsubscribe to your blog or YouTube channel or they may have no real interest at all from the start. The point is that prospects are finding you and sorting themselves into or out of your marketing systems. 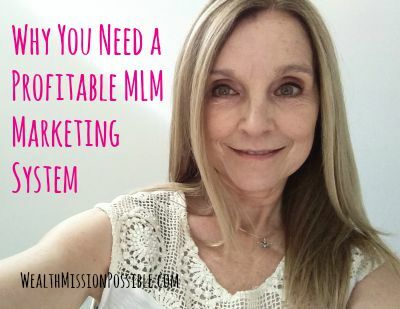 What are the Main Goals of an MLM Marketing System? Network marketing lead generation requires a good plan that works and helps you succeed. Remember, having an MLM marketing system is not like pressing the MAGIC button. You’ll have to work hard and take action, but you’ll do so with a systematic approach and the right skills. Learn Online Marketing Skills – With so many online marketing strategies, were do you begin? Start with one at a time, and don’t move on until you master it. Some effective strategies include: blogging, video, Facebook, LinkedIn, and other social networks. Automate Your Business – When you publish content like blog posts or videos, you have a call to action. That is, directing your visitor to take action. This is exactly how I get new leads, customers and business partners without ever finding them first! People are searching all day long for solutions and products online. They can find you! 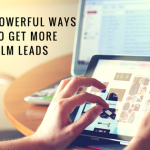 Provide Lead Capture Tools – Lead capture pages and other tools can help you capture names, email, and phone numbers so you can continue the relationship long after a person saw your content. 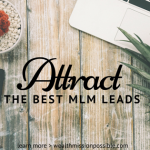 Provides Second Income Stream – Having the ability to sell digital products or memberships can provide another income stream and fund your primary MLM business. Any network marketing system should be easy to use and provide useful tools to help you with generating leads online. You can get that with My Lead System Pro. The skills you will learn, should you wish to proceed, can turn you into a master of marketing online. What do I mean by that? As a blogger, I earn income every day through my blog posts. I worked hard to master this skill and it put me into profit in a relatively short time. I also learned video marketing and have 2 successful YouTube channels that churn out leads and profits every day. I was able to learn these skills in MLSP and take advantage of the many tools offered as part of a comprehensive MLM marketing system. I invite you to check out the MLSP MLM marketing system. 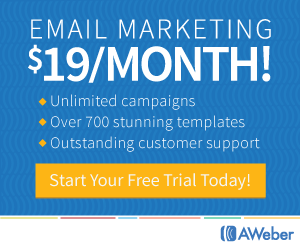 Click here for our 10-day trial. Let me know when you sign up so I can help guide you through a path that is best for you. You are absolutely right, you need an mlm marketing system that works to profit online 🙂 Finding one that works is the challenge!! Great tips! So cool! Thank you for the amazing value! I woke up at 2am to see a commission notification in my email, from a visitor on my blog. I’m all for multiple income streams and a good online marketing system will get you there! Love it Adeposi! Make money while you sleep! Having a marketing system is powerful is so many ways!